As I sit typing this, I’m also mopping my bathroom floor and vacuuming the family room thanks to my cleaning robots. In a few minutes, a robot will also deal with my cats’ litter, too. For someone who grew up watching Rosie the Robot Maid clean house on The Jetsons, this is a dream come true! I still wouldn’t mind having a flying car like theirs, mind you. Still, the fact is that I haven’t vacuumed or mopped a floor or scooped the litterbox in months thanks to my cleaning robots. I can’t tell you how amazing that is. 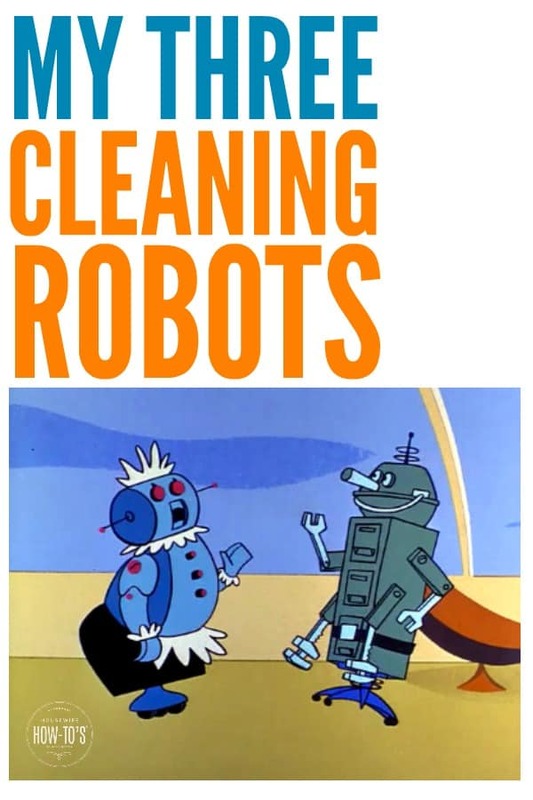 Are Cleaning Robots Worth It? Want more free time? If you ask, most people would say they would love an extra hour in their day. Most people would also say they’d love to have a clean house without lifting a finger. With cleaning robots, you get that extra time and, while they don’t eliminate 100% of the housework, they definitely lighten the load. Want less dust? Frequent vacuuming and mopping are two of the most important ways to reduce household dust. But who wants to do it every single day? Your robot does, and it won’t ask for treats or extra spending money! Want to come home (or wake up) to a clean house? Probably my favorite part of owning cleaning robots is waking up to a freshly-vacuumed family room, or coming home from running errands to find my kitchen floor got mopped while I was away. To me, all of these things are worth it, so over the years, I have bought several robots that promised to vacuum or mop my floors, or deal with my cats’ litter box. Most of them have been big disappointments. Huge. But that didn’t stop me from continuing my search — yes, I am that determined to offload this work! The floor cleaning robots that I now rely on are less expensive than other models I’ve tried in the past, but work even better. 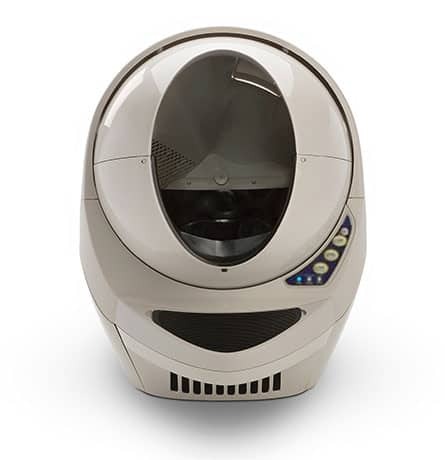 As for the cat litter robot? Well, it’s not a cheap one, but I now use a fraction of the litter we once did — and that stuff is pricey, too! Empty the dirt trap after use. Wash the roller brush in the sink every few uses to keep it in top shape. The newer versions don’t get tangled in cords or try to eat curtains, but you should probably keep an eye on your new robot the first time you run it to see how it does in your home. Run it often, especially if you have carpeted floors. The more often you run your robot vacuum, the less mess it has to pick up each time. That means it can do a deeper cleaning on carpeted floors, so you’ll see less dust and pet hair flying around. In the past, I’ve used the combination vacuum/mop robots and the results were disappointing. If the vacuum worked, the mop messed up — and vice versa. I’d just about given up on mopping robots as a result. Then I saw this robot mop in action at a local store, and I knew I had to have it. At $250, it definitely counts as a splurge but I don’t regret one penny. If you have only hard floors, you can skip the robot vacuum because this thing will also sweep dirt and pet hair using the washable sweeping pads that, like the mopping pads, are included. Since mopping is one of my least-favorite chores, I was willing to put up with noise or having to use some manufacturers’ cleaning solution — but with this one, I don’t have to deal with either. Check out the video below of my mopping robot cleaning my living room floor. This thing is silent — so much so that it’s snuck up on my cat a few times. Even better, you can use just about any mild cleaning product in it — even plain water if you’d prefer. I’ve been using my homemade floor cleaner for months now without a problem. If you’re a fan of Swiffer products, you can even slap a Swiffer pad on it and let the robot mop for you. Vacuum first. Running a mop by hand, or letting a robot do the mopping, will leave streaks and grime behind if you haven’t vacuumed or swept your floor. Change the pad a few times on larger jobs. This isn’t hard to do: hit the pause button, put a fresh pad on, and unpause the machine. Making sure it’s constantly working with a clean pad will prevent streaks. Use it often. Like the robot vacuum, the more often you use it the less mess it has to clean, and the happier you’ll be with the results. I run mine daily in the kitchen after I go to bed, and every other day in the rest of the house. Don’t worry about floor mats. This thing is smart, so it just scoots around them. Ditto with area rugs, kids’ toys, and pet beds. Not going to lie, this Litter-Robot is not cheap. At $499 it is a big investment, so I put off purchasing one for a couple of years. Then I spent money trying different ones that didn’t work. Disappointing Litter Box #1: I tried this $50 rolling litter box which worked okay, but frequently just dumped litter on my floor and did nothing to contain the smell. And then, a miracle happened. The Litter-Robot came with a 90-day guarantee and a 3-year warranty, so I finally decided to take a chance. I am so glad that I did! We get to use the same clumping litter we’ve always used and bought in bulk at Costco, but because this thing filters only the clumps — without dumping loads of unused litter — we go through about 1/4 the litter we once did. And. There. Is. No. Smell. The box rotates, sifts the clean litter, and dumps the clumps into a sealed bag-lined drawer. Twice a week (since I have two cats), we top off the litter, open the waste drawer and replace the full bag with a new one. (It’s a great way to reuse those plastic shopping bags from the grocery store!) That’s it. And. There. Is. No. Smell. Yes, I know I mentioned that already, but cat owners know that freedom from scooping and no litterbox odor is nothing short of a miracle. With all of these cleaning robots doing my least-favorite chores, you might think I do nothing but sit around watching Netflix these days. Honestly, you’re not far off the mark, though I do still have to clean the bathrooms myself. For now. Best Vacuum For Allergy Sufferers? Would you please specify the make and model of your mopping robot? The link did not work for me and I am REALLY interested in this. Thanks. The link works fine, and it points to the 300-series one that I use. I totally intend to buy myself a vacuum robot for my 40th birthday this year :-p We’re a pet-free household these days, but even though I’m not constantly sweeping up pet fur I still feel like the dust-bunnies are multiplying and trying to take over. It is one of my very favorite possessions. I got the one for pet hair, so it’s louder than the others but wow does it work. It’s cleaning my living room right now! Hope you love yours as much as I love mine — and Happy Birthday, youngster!